Researchers at Baylor University found 37 percent of those surveyed believed places can be haunted; almost 20 percent believed it is possible to communicate with the dead. R.I.P. Academy's trained Paranormal Investigators are not only “Ghost Detectives” but are the ones who train paranormal investigators! Don’t leave it to a part-time ghost hunter wanna-be when you can have a full-time professional who leads the industry. We are professional Paranormal Investigators and teachers of the craft- we do this full time! We investigate private residences, businesses, and public venues. We provide you with a documented account of the findings. Call today and have your own professional investigation! We travel all over the US, Caribbean, and Canada; and we can help YOU! 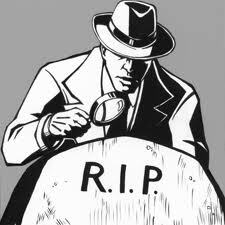 RIP Academy members are proud members of ISPI, the International Society of Paranormal Investigators.